Mark Williams will miss the World Championship for the first time since 1996 after he lost 10-8 to Alan McManus in the final qualifying round. 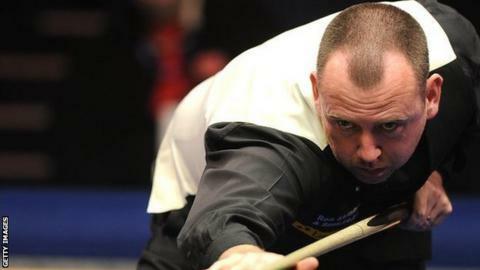 Williams, 39, won the trophy in 2000 and 2003 and edged into an 8-7 lead during the evening session. But McManus reeled off three frames in a row to reach the main draw. This latest defeat is a major blow for Williams, a winner of 18 ranking tournaments during an illustrious career. The Welshman has now lost his place in the coveted top 16. Williams and Scotland's Dott were not the only big-name casualties at the Ponds Forge Arena in Sheffield. Another Welshman, Matthew Stevens, also made an earlier than anticipated exit. Stevens, beaten by Williams in the 2000 final and runner-up to Shaun Murphy five years later, went down 10-8 to Tom Ford.